If leaders from the Centers for Medicare & Medicaid Services (CMS) have said it once, theyve said it a hundred times: The October 1, 2014, implementation date for ICD-10 will not change, and the healthcare industry must be ready or face the consequences. 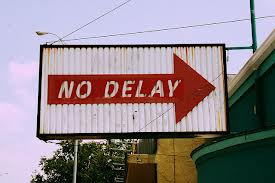 In fact, CMSs attorneys have advised the agency that it cannot provide enforcement delays as it did for the 5010. CMS hammered on the fact that the date will not change, said Nachimson. The agency also summarized the tremendous outreach and public relations, including major media outlets, that it is conducting to spread the word. In fact, for the July 15 call, the agencys outreach went beyond the regular players like the American Hospital Association to a wide variety of other organizations including the American Nurses Associations and the World Health Organization (WHO). Nachimson also reported that CMS is making a major effort to see what still needs to be done, such as beginning post-implementation discussions and addressing plans that wont be switching to ICD-10, including Workers Compensation. In its presentation, the agency emphasized how ICD-10 fits into the broader picture, such as the electronic health record (EHR), and the new systems overall usefulness for other efforts currently underway. In the Medicaid arena, CMS also is making significant efforts, such as providing technical assistance, to assure that state Medicaid agencies will be ready to do end-to-end testing by June 2014 and ready to implement the system by the deadline. On the other hand, CMS commented that Medicare is still considering whether it will reverse its previous decision and actually do end-to-end testing. In spite of the proactive steps being taken, CMS does have several concernsone being the fact that rural and community hospitals as well as home-health and rehabilitation providers are behind in the transition process. The other big concern relates to vendor readiness. As reported in previous ICD10monitor articles, some providers have not yet heard from their vendors. To give vendors an incentive, CMS suggested that someone in the industry develop an accreditation program, similar to the program now in place for EHR certification. Although CMS would not develop or implement the program, it suggested that vendors could receive an accreditation, which may reassure providers of their readiness. In the spirit of inspiration and education, the agency plans to share the best practices of providers and plans that are ahead of the game and describe how they succeeded in getting there. One of those providers is Tampa-based Morton Plant Mease Baycare Health System, whose vice president of medical affairs Mark S. Michelman, MD, is playing a large role during the transition. On the Talk-Ten-Tuesday broadcast, Michelman told listeners, We were ahead of the game and when the I-10 deadline was moved ahead, we had to slow downan enviable position to be in. Among other tasks, Michelman is the physician advisor to the systems coding and clinical documentation team, which consists of 75 inpatient and outpatient coders. The groups initial meeting occurred in January, 2011, and it has met regularly since then with training of coders given top priority. Education of physicians has not begun in earnest, but they are aware that the changes are coming soon, says Michelman, with other steps being taken to assist that process. For example, templates of the documentation required for ICD-10 have been in development for some time, and plans are being made for specialty-specific training.